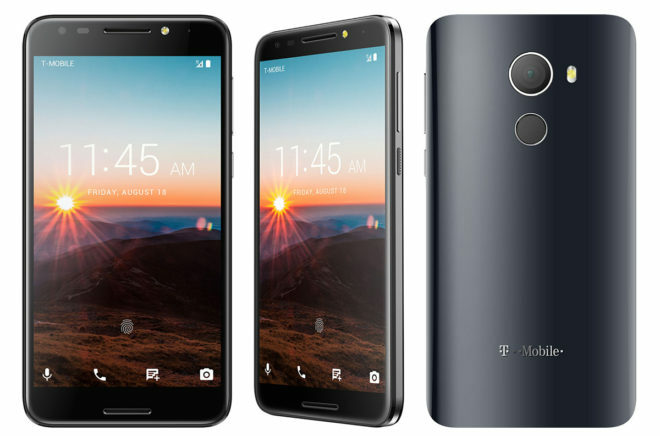 Nearly two months after T-Mobile launched the own-brand Revvl (shown above), new details have leaked about a second model in the Revvl family. T-Mobile is planning to introduce a Revvl Plus soon, says BayStreet Research. Details on the device are still light, but it’ll reportedly have a bigger screen and upgraded specs compared to the original Revvl. The Revvl Plus is also expected to cost $100 more than the Revvl. For reference, the T-Mobile Revvl features a 5.5-inch 1280×720 display, 13-megapixel rear and 5-megapixel front cameras, a quad-core processor, 2GB of RAM, 32GB of storage, and a 3,000mAh battery. It’s priced at $150. We’ll have to wait and see what kind of features the Revvl Plus might pack. The focus of the T-Mobile Revvl is to offer a “bang for your buck” phone with an affordable price, so the Revvl Plus may be a mid-ranger with a few upgrades over the Revvl at a slightly higher, but still affordable price. So if the original Revvl caught your eye but you’d like something a bit higher-end, you may want to keep an eye out for this Revvl Plus. Since they said that it would be a Samsung Phone next, I would say no. Not sure if there is a low end quad core out that can support Band 71. Why are there hardly any reviews for the original device on Youtube? There maybe not be any reviews on you tube,but go Tmo site,you will see the reviews for this phone there,which are not good. Junk not even worth $100. Yeah it’s worth like $200. I have not had any problems with mine, but I wasn’t expecting much to begin with. It works and it doesn’t randomly reboot or stop functioning. That’s really, IMO, the best one can hope for in a low-end device. I’m looking forward to this new one though. Upgrade the specs a bit and it should be pretty solid. It would be beneficial if it actually came with Band 71. I think I’d be interested if it comes with 3-4gb RAM, OIS cameras – I’m not saying Samsung or Apple crushing cameras but something decent and good speakers and a 4000mha battery. 5.5″ AMOLED screen, stereo speakers, DAC for wired listening (yes, give it a headphone jack! ), 630 chip, and a sub $400 price. That’s all I want. Sounds like the ZTE Axon 7 is the perfect phone for you. Just bought the Mini 7 with the same DAC & the reviews are true, it brings headphones listening to a whole new level. I’m a little picky about my music & this phone really drives my limited edition Audio Technica M50’s like no other. Not sure why, but my bluetooth headphones sound better as well. Bought the Mini Axon 7 to tide me over till the end of the year in hopes of a more than $200 reduction in price or a BOGO on the V30 or Note 8. That happens, especially with the Note 8, I’ll keep the Axon Mini as a supplementry DAP. You are good! I upgraded from the M9 to the Axon 7 three weeks ago. I love it!! I wished more OEMs would pay more attention to music listeners. I did. But Axon 7’s external stereo speakers sealed the deal for me. They sound amazing, much better than HTC’s Boom Sound even. EVERYTHING WOULD NEED TO BE SUPERSIZED for the Revvl Plus– screen size, resolution, ram, storage, battery, camera. Annndddd NFC, Oreo, Band 71 also needed. TMo got their work cut out on this phone. If they did this how much do you think they would charge for it? Wish list: water and dust resistance (IP67 min), a better camera (MP count is nothing, sensor and lens are everything), and up the resolution to 1080p minimum. I know for $100 more that’s a lot to ask (since I’m sure they’ll be upping the SoC and RAM as well, and maybe even the onboard storage) but that sure would be nice. Heck, I’d take that phone for $200 more than the Revvl. 720p with 3000mah could mean substantial battery life at a very low price. Not for everyone(and not for me), but I could see people who’d find value in it. Those are the specs of the current Revvl, and it does indeed have greqt battery life at a low price. The T1 is almost the perfect size. If they can enable both speakers and maybe put an SD 630 in there, it would be a steal. If they put the 660 in there, even better.